Ep. 38: Borat - Can We Still Be Friends? For this episode, Nate and Ryan go back to their college years to re-watch Borat, a movie they haven’t seen since they were undergrads 10 years ago. Sacha Baron Cohen has a new movie, The Brothers Grimsby, in theaters, and a recent illuminating interview on WTF with Marc Maron made Nate and Ryan wonder how the political commentary in Borat holds up. In the movie, Baron Cohen introduces unsuspecting Americans to his outlandish character, holding a mirror up to American society to show the absurdity, hilarity, terror, and crippling politeness that drives us. Nate and Ryan explore the effectiveness of a character that became so ubiquitous that the message got lost amid catchphrases and bad impersonations. What are your memories of Borat? What is the line between offensive and provocative? 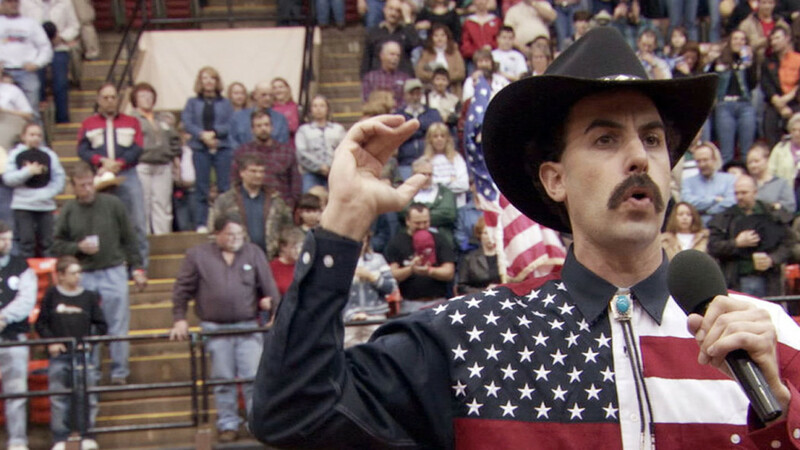 Is Borat’s depiction of America in 2006 outdated, eternal, or prescient? Let us know! Tagged Borat, sacha baron cohen, the brothers grimsby. The Borat trailer was so bad that I did NOT want to see it. I did not see it nor do I now.